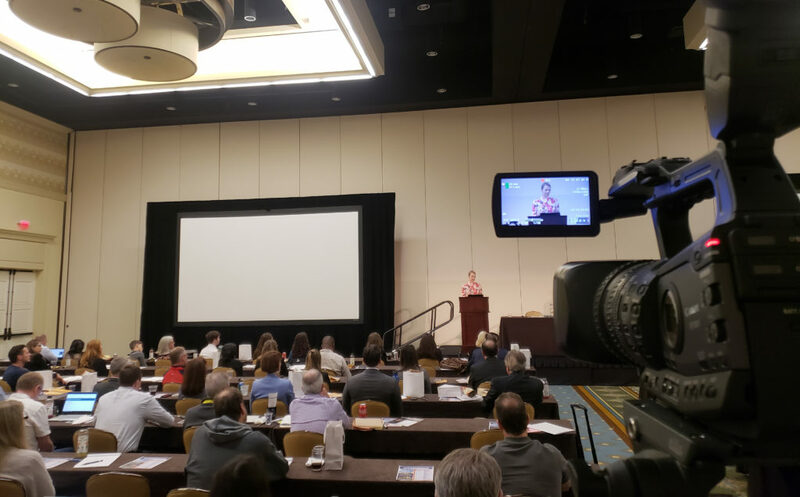 2019 FJA Workhorse Seminar: Keynote Luncheon Presentation – Image Resources, Inc.
February 19th through the 22nd, The Florida Justice Association (FJA) hosted the 2019 Workhorse Seminar in Orlando. For the third year in a row, Image Resources of Florida attended as an Eagle Business Benefactor partner and the official video recording sponsor. The week was full of numerous educational presentations and learning opportunities. My favorite part of the week was the keynote luncheon presentation on Wednesday, February 20th. Elizabeth Smart eloquently captivated the audience during the lunch hour as she discussed overcoming adversity. Elizabeth Smart is widely known around the U.S. for what happened to her when she was fourteen years old. In the summer of 2002, Elizabeth Smart was kidnapped at knife point from her home in Utah by a man named Brian Mitchell. Brian led her into the woods where he had a camp set up with his wife and forced Elizabeth to become his second wife. Over the next 9 months, Elizabeth lived in captivity. She was starved, raped, and tortured throughout this time. She went from living in a happy loving home to being chained up and in the middle of the woods, overnight. She endured so much pain and considered giving up multiple times throughout the months of agony she spent in the woods but through everything she still held onto the hope that one day she would be reunited with her family. During her presentation, Elizabeth said the only thing that kept her alive was her family and her faith. Despite the constant torture she endured, she overcome the adversity she was faced with and clung to the hope that one day she would be rescued. Trial attorneys themselves are also faced with adversity. Day in and day out they pour their heart and soul into their cases. One difficult part about trying cases is that the jury may decide in favor of the other side. Despite all the hard work put into the case, the end result could be a less than favorable outcome for their client. It is easy for them to be hard on themselves because they want to succeed for their clients’ sake, but sometimes their efforts fall short. They must overcome this and many other instances of adversity in order to continue to fight for their clients.